Perfect for summer suppers or entertaining, this layered salad has all my favorite ingredients like fresh spinach, tortellini, tomatoes, mushrooms, green onions and (last, but certainly not least) bacon – all topped off with creamy homemade Parmesan Ranch Dressing. Make individual servings in pint-size mason jars or layer this salad in a glass 13×9 pan; you can also do multiple layers in a trifle bowl for large groups. Make it your own by adding any of of your favorites such as bell peppers or olives. 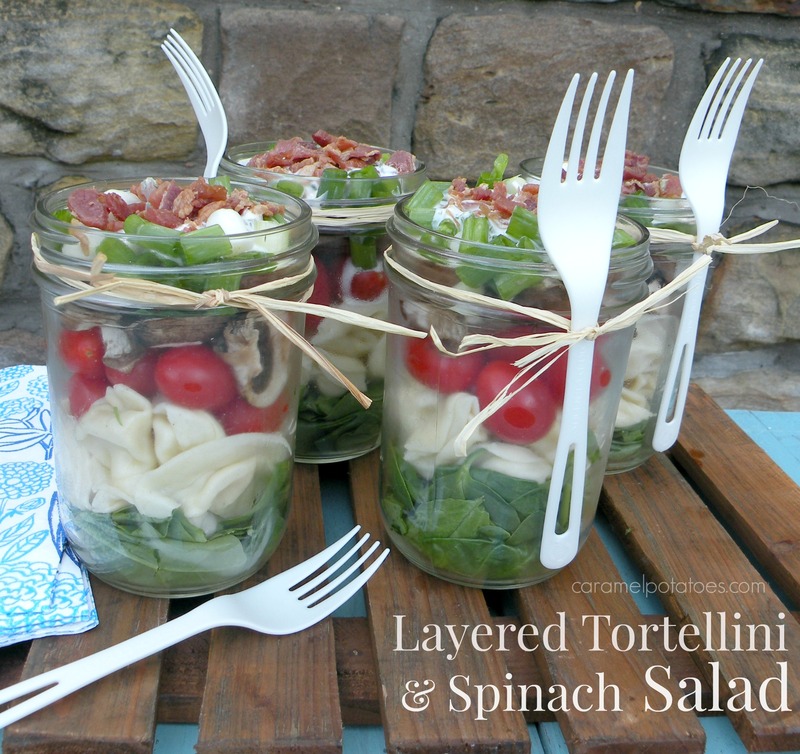 Layer spinach, tortellini, tomatoes, mushrooms, green onions and top with ranch dressing. Sprinkle with bacon bits. Cover and refrigerate until ready to serve. Can’t wait to try this – great update on the layered salad. 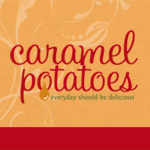 another recipe I can’t wait to try- I love caramelpotatoes!! !